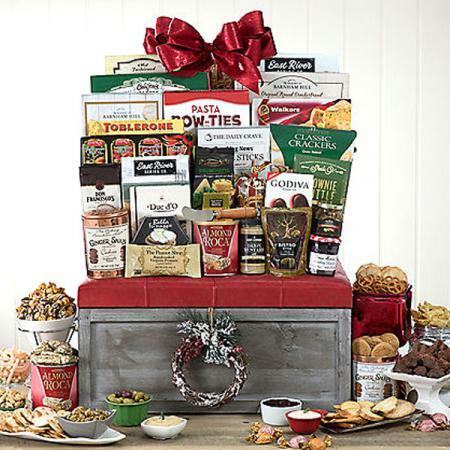 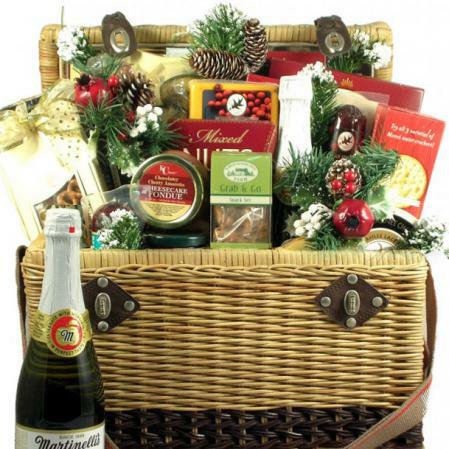 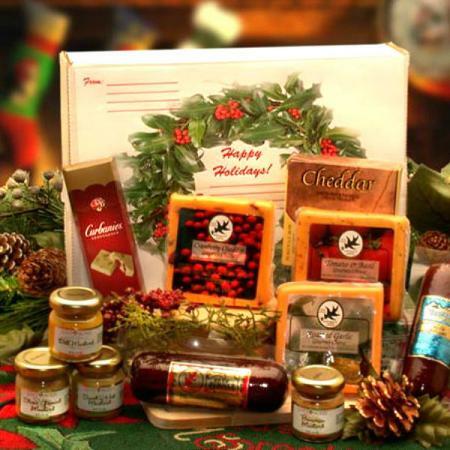 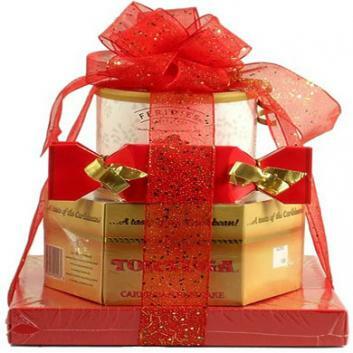 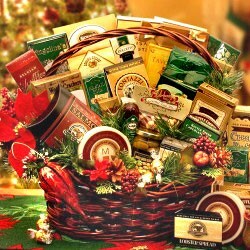 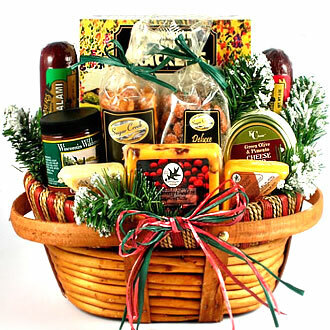 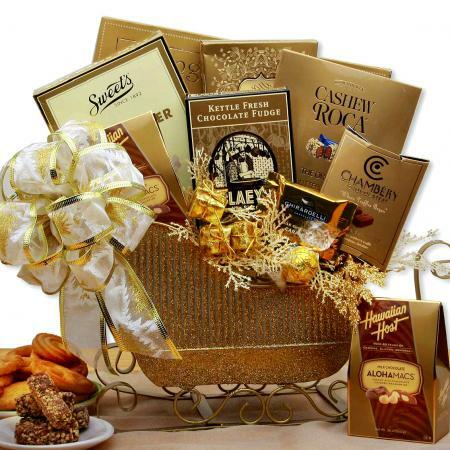 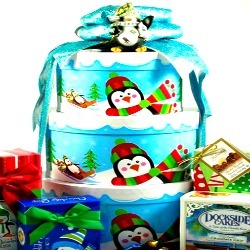 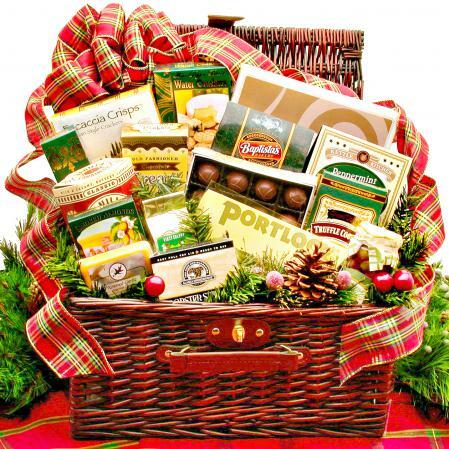 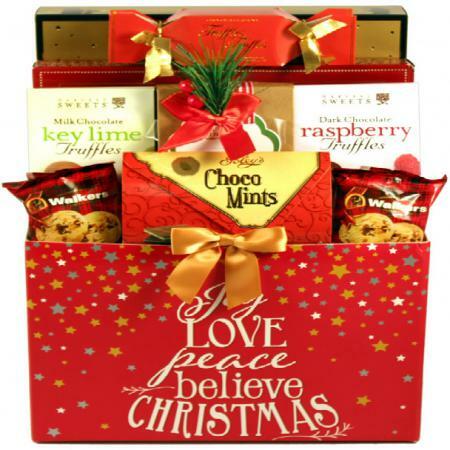 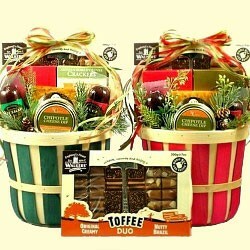 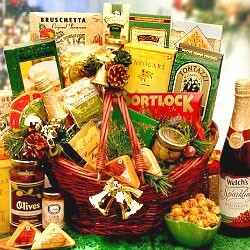 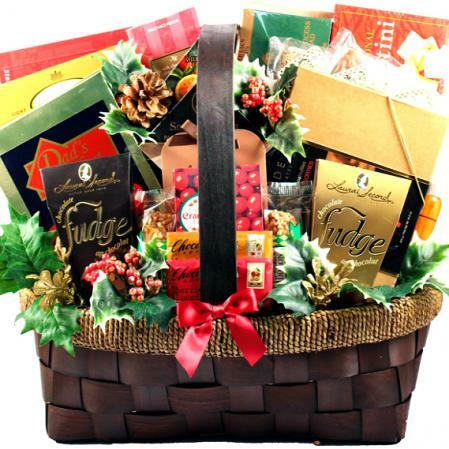 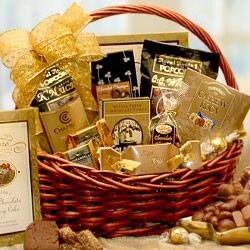 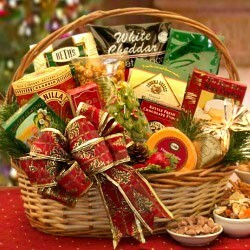 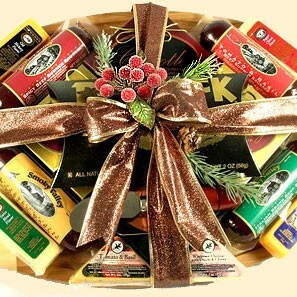 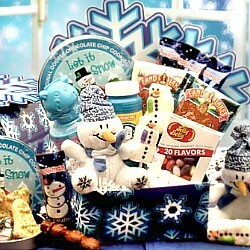 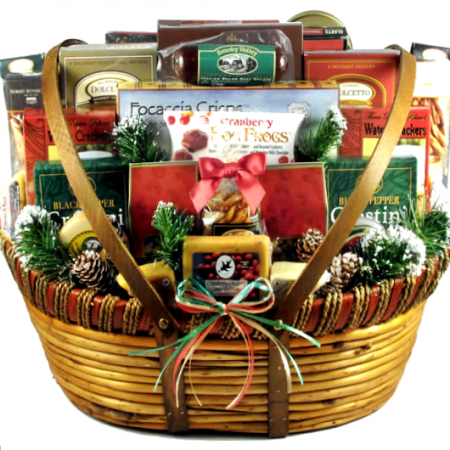 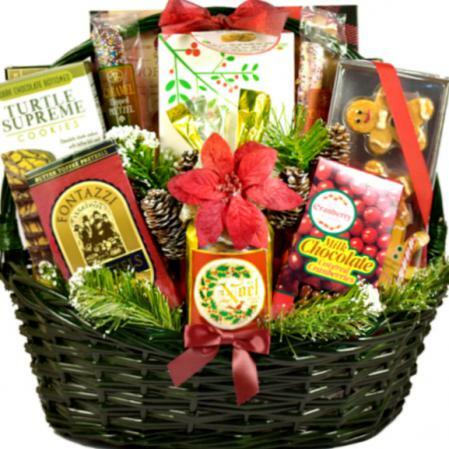 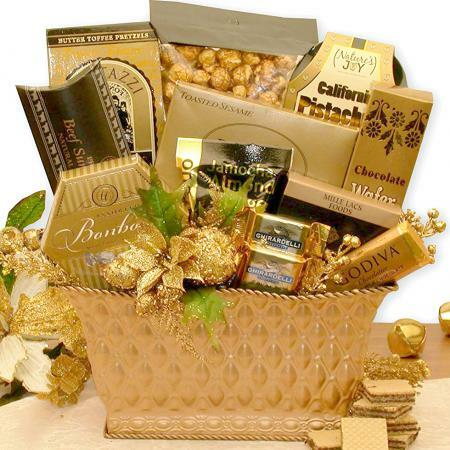 Send this sophisticated, deliciously satisfying holiday gourmet food package this Christmas. 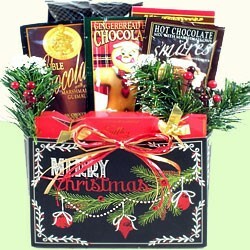 A great holiday gift for friends and loved ones. 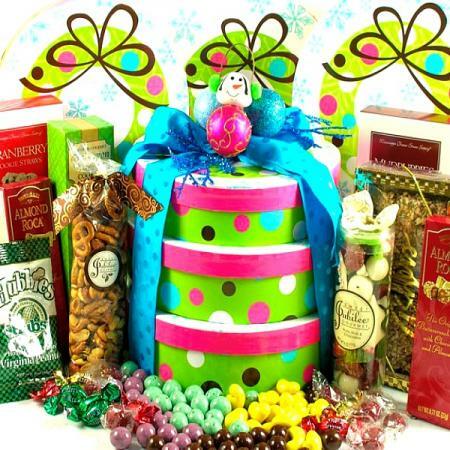 Give something gourmet, sophisticated and satisfying with this gift package of fine gourmet cheeses, Bavarian meats, and mouth-watering almond bark. 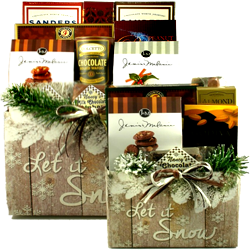 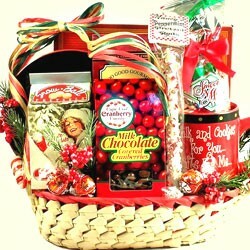 Delivered in a festive holiday gift box, this is a great gift for those with a long list of loved ones to send warm wishes too. 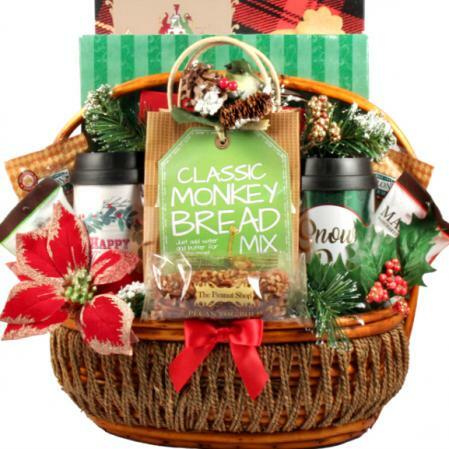 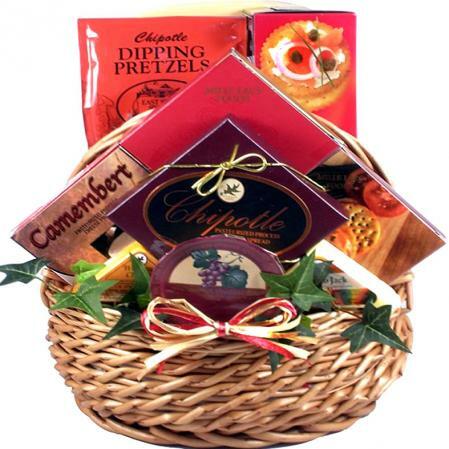 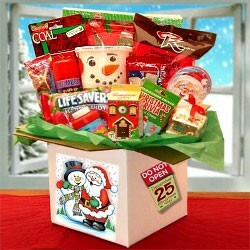 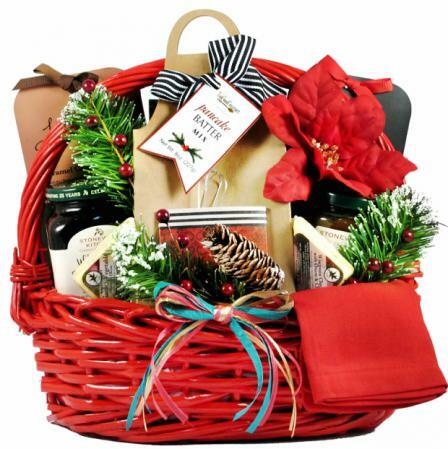 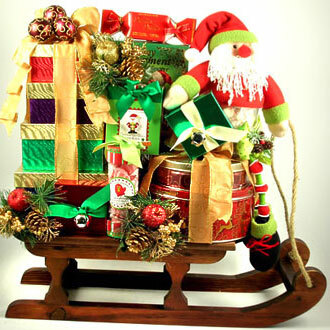 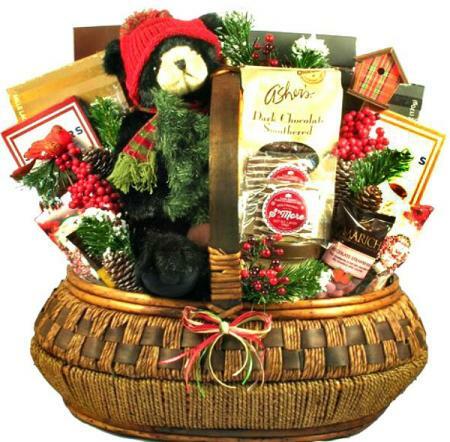 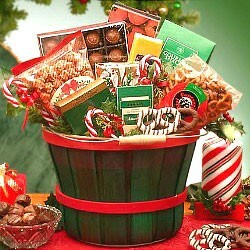 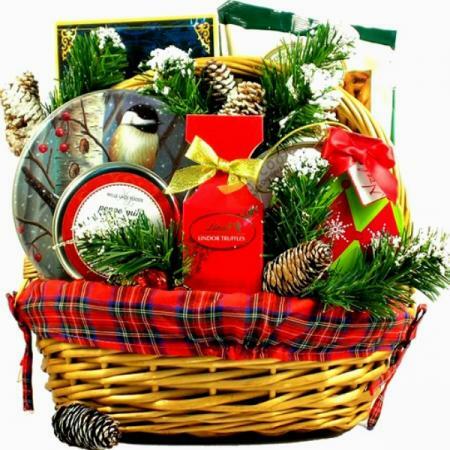 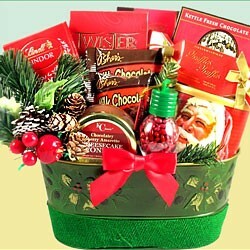 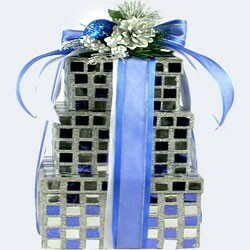 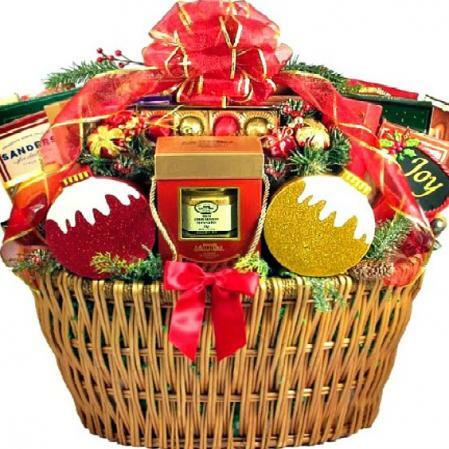 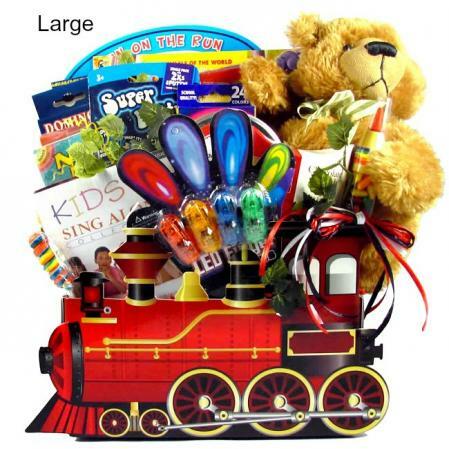 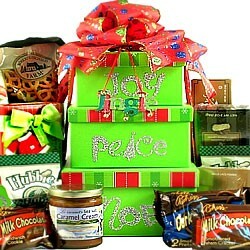 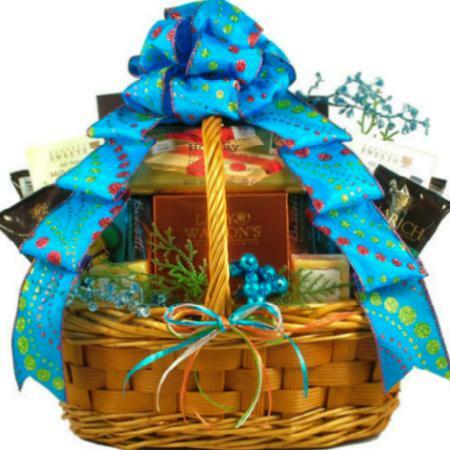 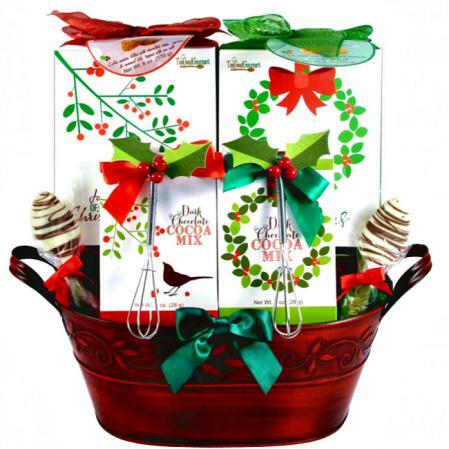 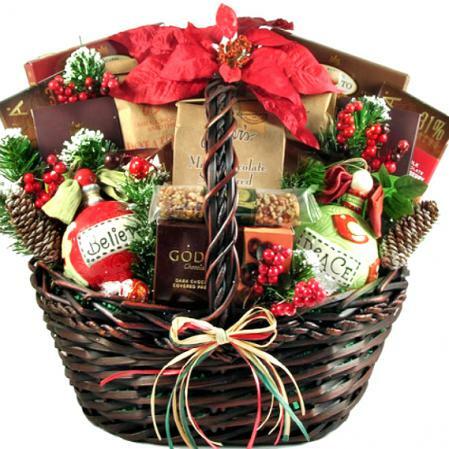 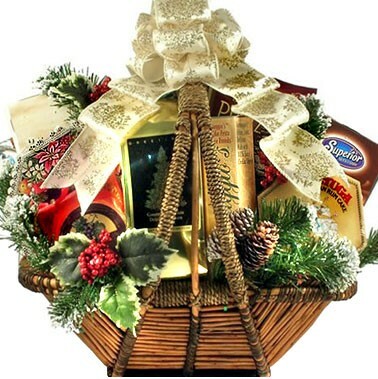 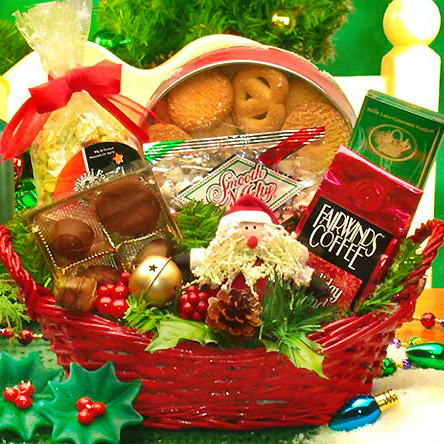 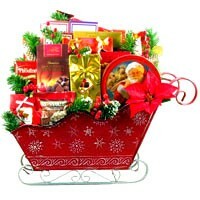 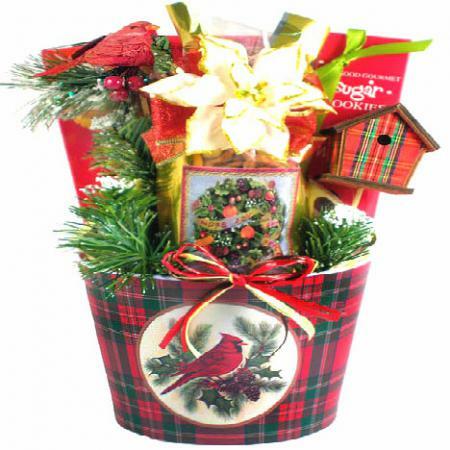 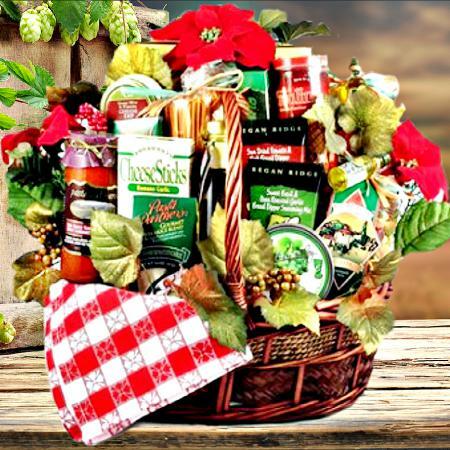 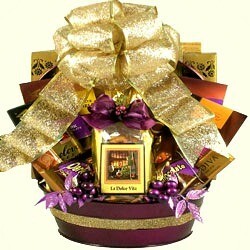 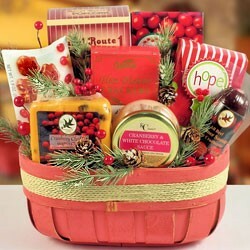 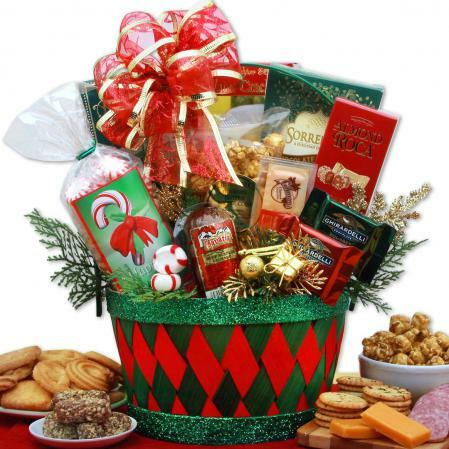 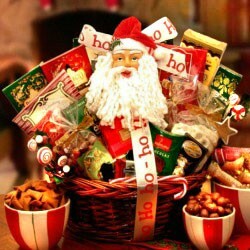 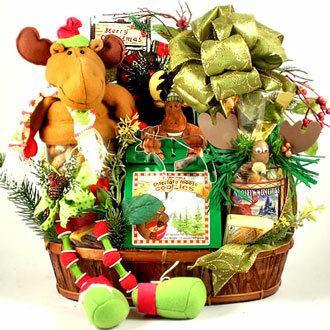 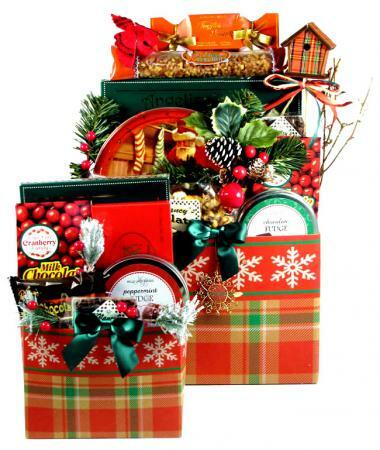 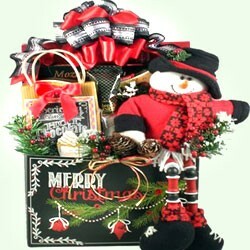 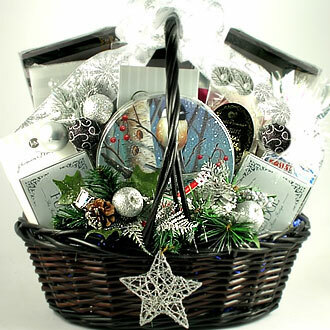 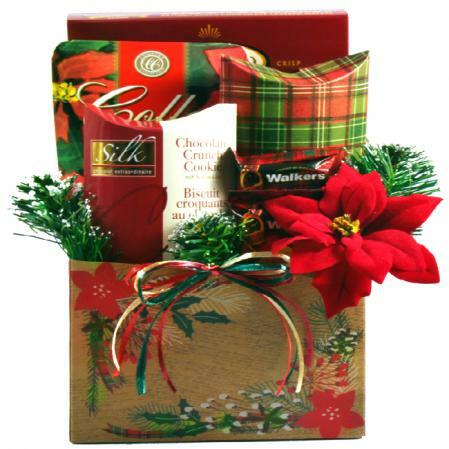 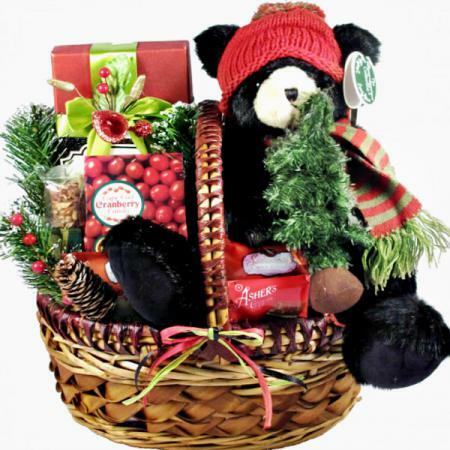 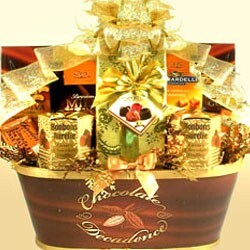 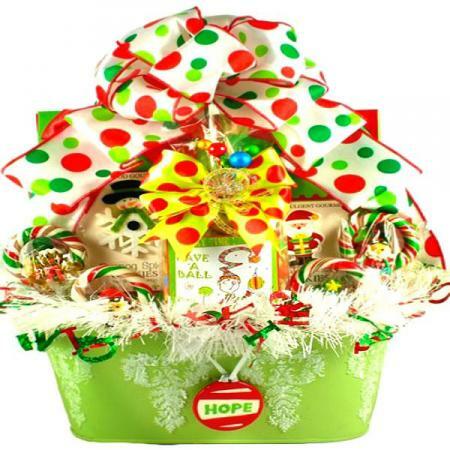 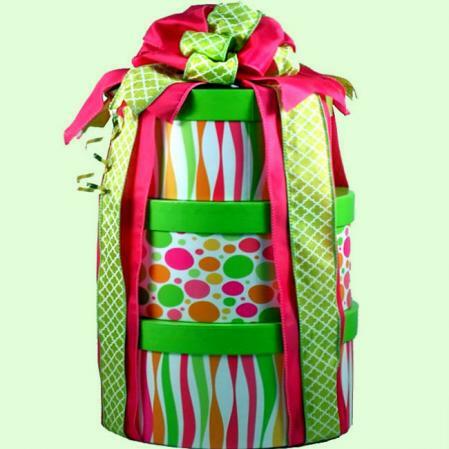 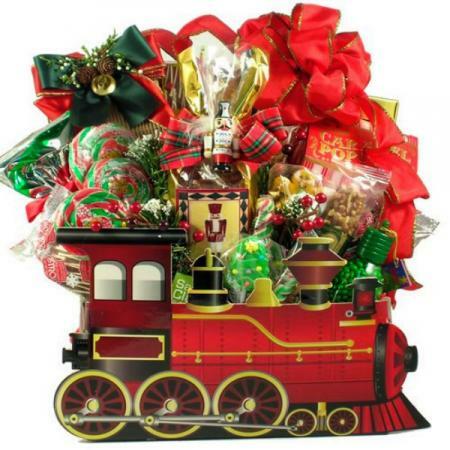 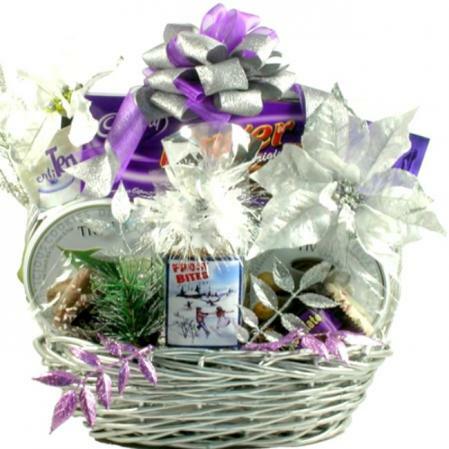 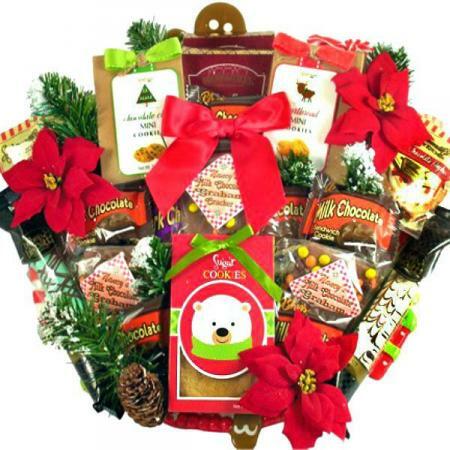 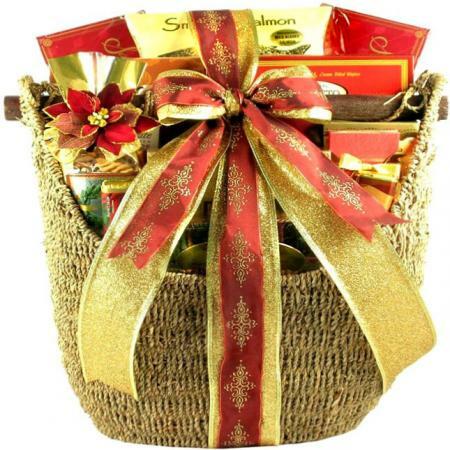 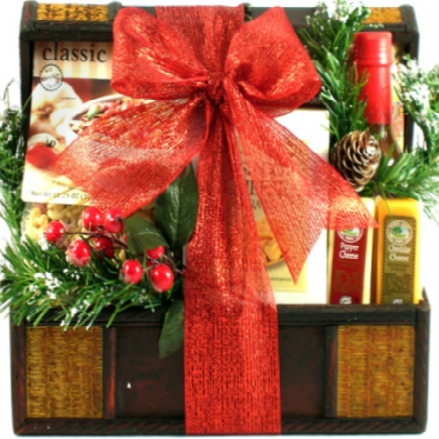 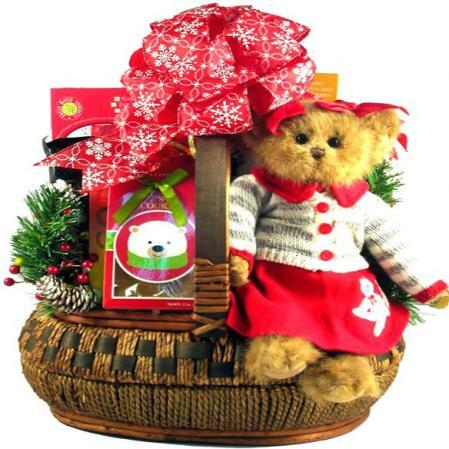 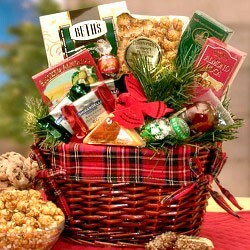 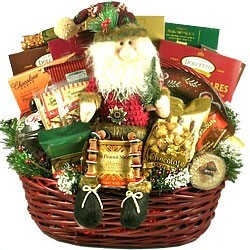 Enclosed in a festive gift box with wreath and a Happy Holidays Message.